Greenyard Mycoculture Poland, formerly known as Mykogen and was part of the Greenyard Group until mid-December, is the first mushroom substrate manufacturer to offer substrate for organic farming in Poland. Polish growers had until now to import this type of substrate from Germany or the Netherlands. The logistically well-located Wola Makowska production facility was certified for the product by Bioekspert, an official Polish certification body for organic farming. Greenyard Mycoculture Poland also helps clients to obtain certificates for organic farming for their mushrooms, with four of them already being granted certificates for their mushrooms grown on substrate for organic farming supplied by the company. The first batches have already been delivered and the customers were very satisfied with both the quality of the substrate and the cultivation results. In the spring of 2019, Greenyard Horticulture will unveil its new company name and identity. Greenyard Mycoculture (substrates for mushroom growing) was part of Greenyard's Horticulture division until mid-December and has facilities in Poland and Ukraine. In September 2018 it was announced that the entire Horticulture division would become an independent organization. With a total of 13 production sites and 800 employees, the company exports to more than 60 countries worldwide. 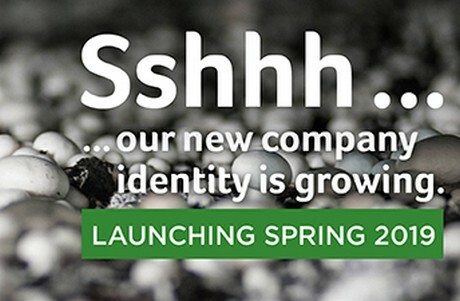 In the spring of 2019, the new company name and identity will be revealed in the market.